Ag technology – to capture or release? Should agricultural data be controlled by commercial interests, or should it flow to wherever it enables the greatest opportunities? The University of New England’s Paul Martin thinks the agricultural industry needs to carefully consider these alternatives, because its response will determine the legal frameworks built around technology – and those frameworks will decide how technology’s benefits are shared. “People tend to focus on ways of controlling a slice of a hoped-for ag-tech pie by locking down their interests using the law,” says Professor Martin, who leads the Australian Centre for Agriculture and Law in the UNE Law School. 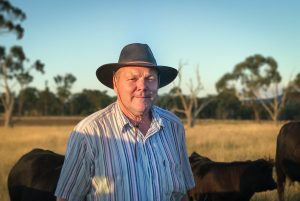 Professor Martin told the Meat and Livestock Australia Digital Forum late last year that strategies intended to gain wealth from technology often reflect an unquestioned belief that value lies in control of technology and data. Ensuring that the value flows back through the supply chain would require a new generation of innovative contracts, he added, “and other legal strategies that maximise win-win rather than win-lose positions”. The starting point, Prof. Martin suggested, is to undertake a thorough scoping of the information flows in agricultural sectors to find opportunities for value-creating partnerships. Such an exercise may also throw some light on the risks of technology. One such risk is that as industry players start pooling huge volumes of data, farmers might be open to new vulnerabilities. “Big data might supply evidence that can be used to criticise agriculture, perhaps on animal welfare or environmental grounds,” Prof. Martin said. This is already occurring. In 2016, three quarters of all new online media advertising was spent with Google or Facebook. Two businesses took billions of dollars of revenue once shared by thousands of media companies. New advertisers with the tech giants were partly motivated by the advertising exposure they could get, but also by access to the enormous volumes of data the organisations collect on their users – in Facebook’s case, 1.6 billion of them. Agriculture is no less vulnerable to a massive power shift towards a handful of players, Prof. Martin said. If the industry values diversity, it needs to prioritise keeping it. “The agricultural sector needs to find laws and policy approaches to grow the technology value pie, before we focus on arguing over who will have what slice,” he said. One of the risks that agriculture faces in fully capitalising on new technologies is what Professor Paul Martin calls the “dangerous mindset”: the widespread belief that when farmers collect data, they own something of value. “Data’s value only emerges when it is pooled and analysed in ways that improve decisions,” he said. Professor Mark Perry of UNE’s AgLaw Centre, and a specialist in the legal aspects of the agriculture + technology interface. 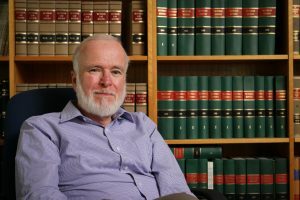 Professor Mark Perry, also of UNE’s Law School and AgLaw Centre, and a specialist in the interaction of technology and law, observes that people also tend to misunderstand the legal status of data. “One legal facet is that raw data, like facts, are not capable of ‘ownership’ as there is not a legal construct to support such a concept,” he explained. The AgLaw professors agree that the times demand a rethinking of contractual arrangements between those who collect data, like farmers, and those who extract its signals. He added that flexibility will be essential to any industry technology strategy.